petition: Close PetSmart Grooming - Too Many Dogs Are Dying There! Close PetSmart Grooming - Too Many Dogs Are Dying There! Another innocent and beloved pet has died in PetSmart's grooming department. Abby was a loving, healthy, 8-year-old corgi who had recently been to the vet and been given a clean bill of health. Abby is at least the fourth dog to die in PetSmart's care in just the last few months. 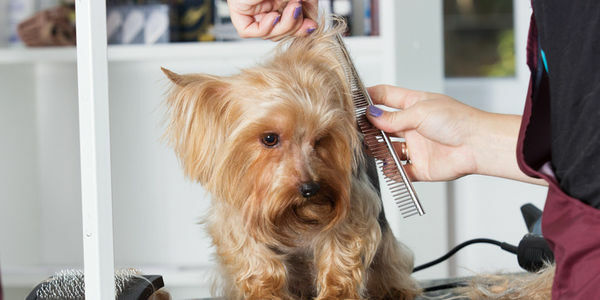 Sign on to tell PetSmart to close down all their grooming centers until they can find a way to responsibly care for the animals entrusted to them. After Scruffles the bulldog died, the outrage from people like you and me caused PetSmart to launch a comprehensive review to change the way they do grooming. But obviously pets are still getting hurt and dying in the meantime. Which is why we need to insist they hault their grooming programs in all stores until all the changes have been made and implemented. Abby's father, Chuck Crawford, is hurting deeply due to the passing of his sweet corgi. PetSmart tried to pay for her necroscopy, but he refused when the vet told him if they paid he may never see the results. That means that PetSmart may be trying to conceal the truth of what is happening in their grooming departments. This is unacceptable. Please sign on in demanding open investigations and a temporary hault to all grooming until higher and safer standard can be met. This is out of control! Yet another loved family dog has died while being groomed at Petsmart. We have to be louder, please share the petition with everyone you know. No more pets should die! Yet another beloved animal has died in the PetSmart grooming center. It’s urgent that we get PetSmart to close down all their grooming operations until their policies better protect pets. Keep sharing the petition and spreading the word! No more dead pets!